In 2013, Chinese president Xi Jinping proposed the Belt and Road Initiative (BRI), an ambitious infrastructure-building project covering much of Eurasia, various seas, and parts of Africa. At the time, few considered how the Arctic might fit into Beijing’s plans. Now, that issue has come more into focus. Today a Chinese government agency released “China’s Arctic Policy,” a white paper (link in Chinese) outlining how the BRI applies to the Arctic. According to the paper, China will encourage its developers to build infrastructure along Arctic routes, and urge its shipping companies to conduct trial voyages through the sea. 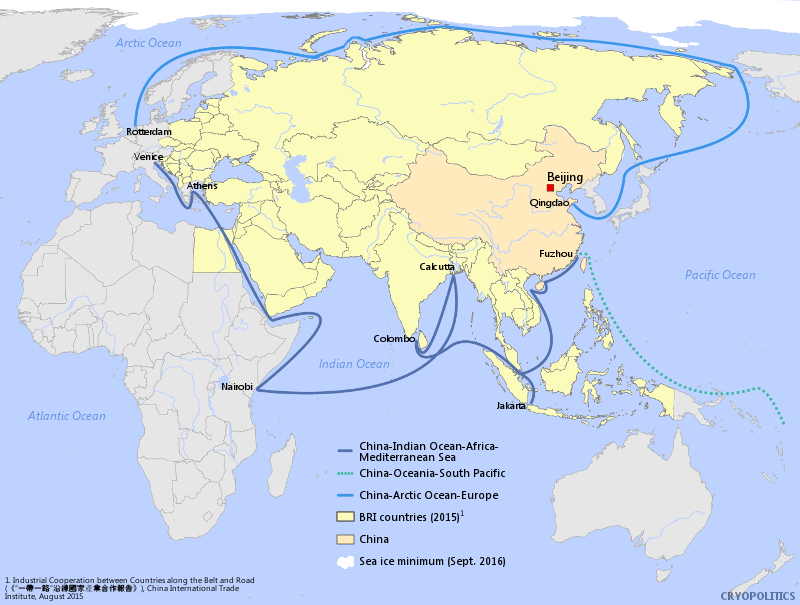 Shipping routes will expand in number, and along them China will facilitate economic and social progress. The paper emphasizes that China has “shared interests” with Arctic nations. The friendly language echoes the kind used in China’s other BRI efforts. In reality, Chinese companies benefit the most from the projects: Of all the contractors participating in Chinese-funded BRI projects, 89% are Chinese companies, 7.6% are local, and 3.4% are foreign, according to a recent report by the Center for Strategic and International Studies, a think tank based in Washington, DC. Just as with BRI projects elsewhere, ones in the Arctic will primarily be about benefiting Chinese companies and expanding Beijing’s economic and political influence. One section of the paper focuses on how China can use the Arctic’s resources, including fuel and fisheries, on a “legal and reasonable basis,” bringing to mind Beijing’s tussles with international law in the contested South China Sea. Of course, China cannot avoid working with Russia, which borders much of Arctic. 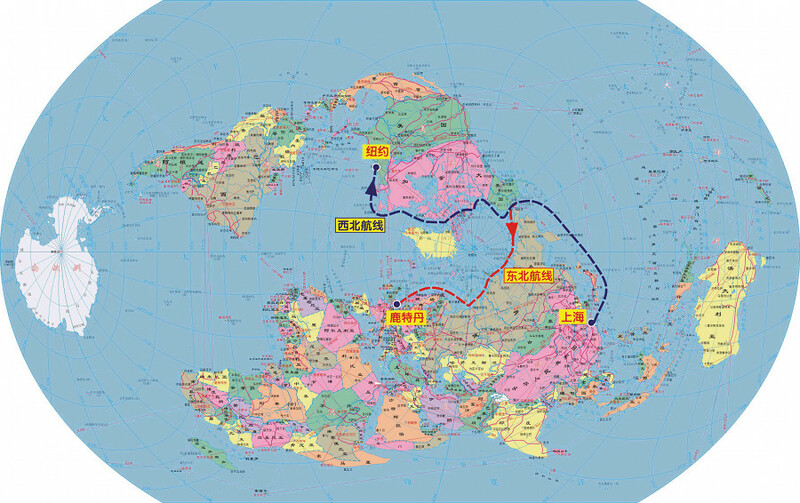 Last July, Xi urged cooperation with the northern neighbor to create a “Silk Road on ice” along Russia’s Arctic coast. In 2016, China’s state-owned Silk Road Fund (part of the BRI) finalized a deal to buy a 9.9% stake in a liquefied natural gas plant in the Russian Arctic for $1.2 billion. The plant, located on the Yamal Peninsula, is majority-owned by Russia’s LNG producer Novatek. China will be the main customer for the gas produced, and state-owned China National Petroleum Corporation owns a 20% stake in the plant as well. The white paper is careful to emphasize feel-good factors. It says that China will boost polar tourism, which will help local economies and encourage the preservation of traditional cultures. Finland’s Lapland region saw the number of Chinese tourists jump over 90% in 2016 (paywall). It is the Arctic’s indigenous people, the paper suggests, who will truly benefit from China’s interest in the region.